GENEVA - The general secretary of the World Council of Churches, Rev. Olav Fykse Tveit, has urged all the parties involved in clinching an interim nuclear agreement for Iran to strive for a more lasting accord. "We welcome the interim nuclear agreement between Iran and six world powers reached here in Geneva on 24 November," said Tveit in a statement Wednesday. "We pray that this agreement becomes a sign of hope in a region where many yearn for peace. This common ground offers the region and the world a glimpse of a more promising future." Signs of the thawing of the impasse with Iran flowing the signing of an agreement came from the International Atomic Energy Agency Director General Yukiya Amano who spoke before the 35-nation IAEA board in Vienna Thursday. "I can inform the board that we have received an invitation from Iran to visit the Heavy Water Production Plant at Arak on 8 December," Amano said. The head of the nuclear regulatory body, cautioned that it will "take some time" before work can begin on verifying whether Iran is complying with a deal on its nuclear program. The agreement was reached Sunday between Iran and six world powers - Britain, China, France, Germany Russia and the United States to temporarily halt parts of Tehran's disputed nuclear program. 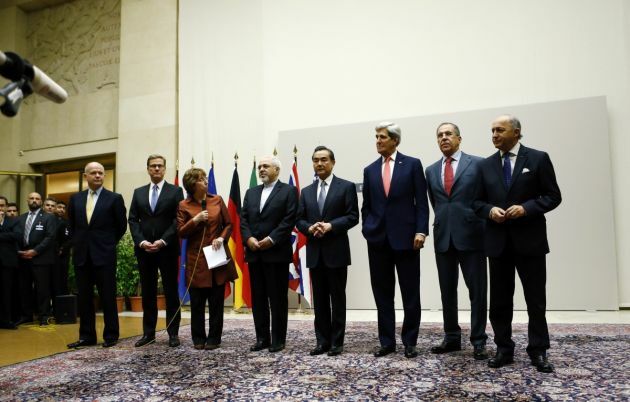 The accord will allow for greater international monitoring of Iran's facilities. Iran has gained some relief from a swath of economic sanctions and a pledge the United States that will not impose new penalties during the coming six months. In his statement Tveit said, "We are grateful for the diplomats who participated in patient dialogue to create an opening in a wall that has isolated Iran for more than 30 years. "We urge all parties to use the agreed upon six-month span of confidence-building to reach toward a longer-term horizon for improved relations and mutual obligations which all the countries involved need." Tveit said the weekend agreement is a reminder of the importance of the nuclear Non-Proliferation Treaty for peace in the world, and particularly in the Middle East. "May God help all of us to continue our efforts towards a future without nuclear weapons," he said.